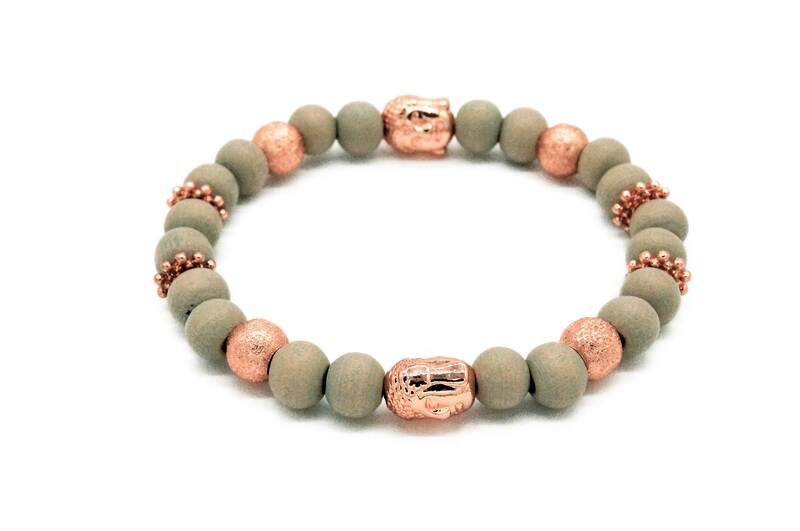 Elastic bead bracelet in grey and Roségoldenen BEADS. 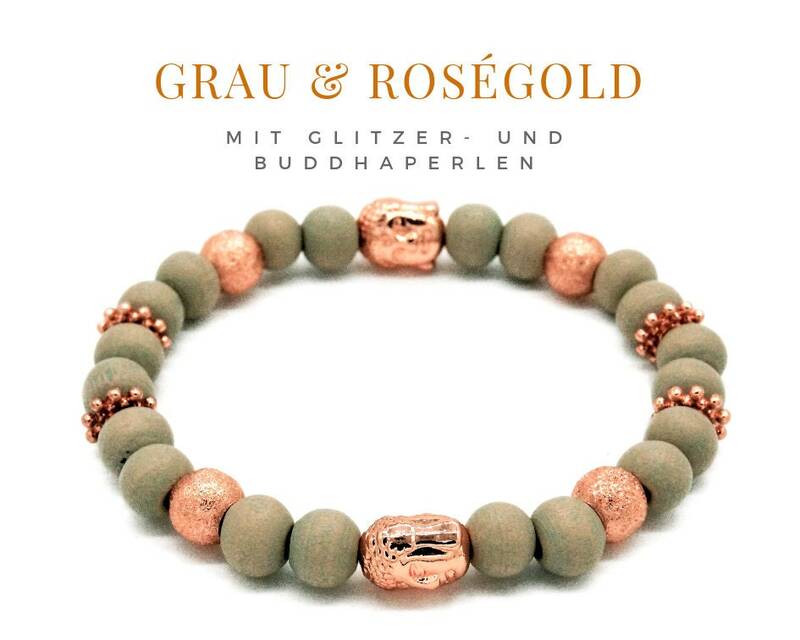 Particularly striking are the two Buddhakopfperlen as well as the Rose ´ Golden Glitter beads. 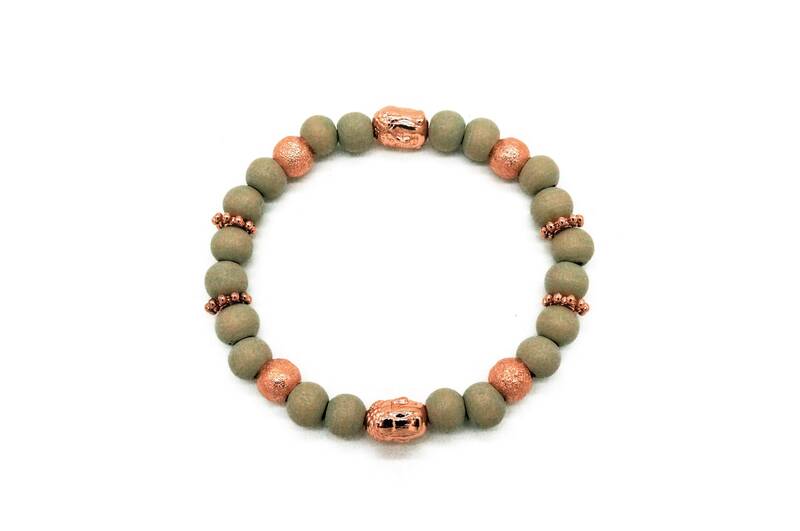 The bracelet consists of grey wooden beads, in between are small spacer beads in rose Gold. The 19 cm long bracelet is elastic and is shipped as a gift wrapped in a organza bag.